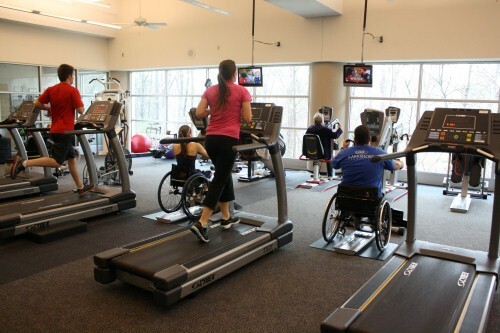 Having a physical disability can open various activity options that many can enjoy. What this means is that there are 56 million people with disabilities that do not have to succumb to doing nothing at all. According to an article by the Center for Disease Control in April of 2014, adults with disabilities are 58-percent more likely to have a problem with obesity and those that don’t have a physical impairment. For children, the difference is at 38-percent. This demonstrates that those with disabilities are not getting proper nutrition or enough physical activity in order to burn excess energy. Improper diet and lack of exercise can lead to developing diabetes. In fact, it’s quite common for those that have unhealthy lifestyles and are obese to be affected by type 2 diabetes. This affliction can cause a great deal of damage internally. The nerves in the eyes, kidneys and atherosclerosis can develop from type 2 diabetes. Without maintaining physical activity to stave off obesity, you could inadvertently cause more pain and suffering in your future. Energy Levels – At times it can be difficult for anyone to muster the energy to remain active. However, you must find a way to muster up as much as you can in order to prevent yourself from becoming obese or succumb to secondary health conditions that come with unhealthy weight gain. Physical Limitations – Your own disability may restrict certain activities. If you don’t have the use of your legs, jogging a few miles may be out of the question. However, treading water in a supervised pool or using your arms to traverse a mile or two. Also, participating in adapted sports or pushing in a sports wheelchair can help increase blood flow and stave off obesity. Surrounding Environments – Your location may play a role in how much activity you can experience. Perhaps you are in an area that is unsafe for you to manage without assistance. There are still ways you can remain active in your home using forms of calisthenics or aerobics involving the physical attributes you do have available. Resources – A lack of resources doesn’t have to mean strictly money. Perhaps you don’t have a supportive family or group that can help you keep motivated. Maybe you don’t have access to transportation to activities that can help you remain fit. Every one of these resources you don’t have access to can be addressed if you were to contact the Department of Human Services or Rehabilitation Offices. There are different kinds of programs to help accommodate the resources you’re lacking. Medications – Unfortunately, the medications that could be helping with your disability could be hindering your activity and increasing your appetite. Find ways to compensate for a lack of energy or increase of food intake. The more physical activity you commit to, the greater your energy levels will become. Your body will begin metabolizing to gain energy faster in order to compensate for the increased levels of movement. It may take a few weeks, but the results will be worth the trouble. With so many options for activity, it is vital that you find one that is best for you. Obesity and diabetes can put your life at greater risk. Don’t limit yourself to leading a healthy active lifestyle. What I liked best about your article is the importance of staying active. Look for those opportunities. Even if you have to get up early or stay late at night. Your effort will be reflected in your results.